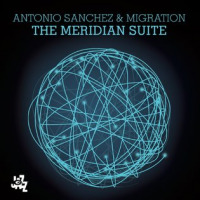 With his two simultaneously released albums, Three Times Three and The Meridian Suite, Antonio Sanchez posits himself as the next great drummer who's a great bandleader. Alternately emphasizing his composing skills and his musicianship, as he did on his acclaimed score to the film Birdman, this native of Mexico City never overtly draws attention to himself, preferring to nurture the interaction of those around him, thereby making himself nothing less than conspicuous by his relative absence. In doing so, he heightens his profile within the respective session and project, and fulfills the role of that most generous of musicians: one who makes those around him sound better. 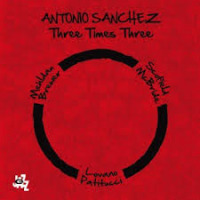 That's no easy task in either realm here, but arguably more so during the two CD's that comprise Three Times Three, if only because of his stellar company: pianist Brad Mehldau, guitarist John Scofield, bassist Christian McBride and saxophonist Joe Lovano all appear during the course of these nine tracks. The performances crackle with electricity because the respective lineups work in such complementary fashion. Mehldau taught himself to eschew flash when with Joshua Redman, here, like the drummer himself, preferring to delve into nuance during "Constellations." Meanwhile, when in a latter-day lineup of Miles Davis, Scofield discovered the means to open up space for himself and others, so its no surprise he and McBride engage in some furious interplay on, aptly enough, "Nooks and Crannies." Meanwhile, saxophonist Joe Lovano absolutely scorches on "I Mean You." All those virtues are also on display during The Meridian Suite , albeit in slightly altered proportions. The acoustic and electric textures supplied by pianist John Escreet, bassist Matt Brewer (who also takes part in Three Time Three) and special guest guitarist Adam Rogers expand the structure of the five-part composition, while the warmth in the voice of Thana Alexa, who also contributed to Sanchez' New Life (CAM Jazz, 2013), humanizes a crystal clear sound. And, not coincidentally, her appearances trigger the major shifts in the piece, particularly on "Imaginary Lines" for which she wrote the lyrics. 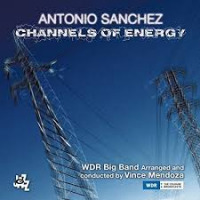 The twenty minutes-plus of "Pathways of the Mind" recapitulates brisk transitions of tone and texture compelling close listening throughout "Channels of Energy" and "Magnetic Currents." 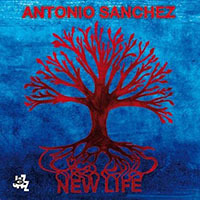 In keeping with Antonio Sanchez' multi-faceted ownership of this project, the leader's playing is as authoritative within this structured setting as in the looser atmosphere of the other album: the composer/bandleader simultaneously underlines the melodic and rhythmic motifs of each interval and, at the same time, maintains a flexibility that allows his counterparts to express their personalities as fully as he does. Tracks: Nar-this; Constellations; Big Dream; Fall; Nook And Crannies; Rooney And Vinski; Leviathan; Firenze; I Mean You. 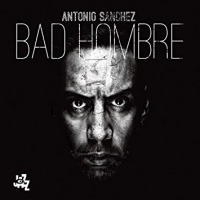 Personnel: Antonio Sanchez: drums; Brad Mehldau: piano; John Scofield: guitar; Joe Lovano: tenor sax; John Patitucci: acoustic and electric basses; Matt Brewer: acoustic and electric basses; Christian McBride: acoustic and electric basses. Tracks: Grids and Patterns; Imaginary Lines; Channels of Energy; Magnetic Currents; Pathways of the Mind. 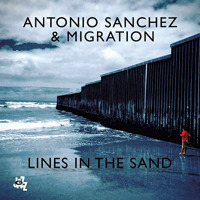 Personnel: Antonio Sanchez: drums, keyboards, vocals; Adam Rogers: guitar; Seamus Blake: tenor saxophone; John Escreet: piano; Matt Brewer: bass; Thana Alexa: vocals.